For centuries large fleets of ocean-going junks plied the rivers, seas, and harbors of the Far East, from Singapore to northern China. 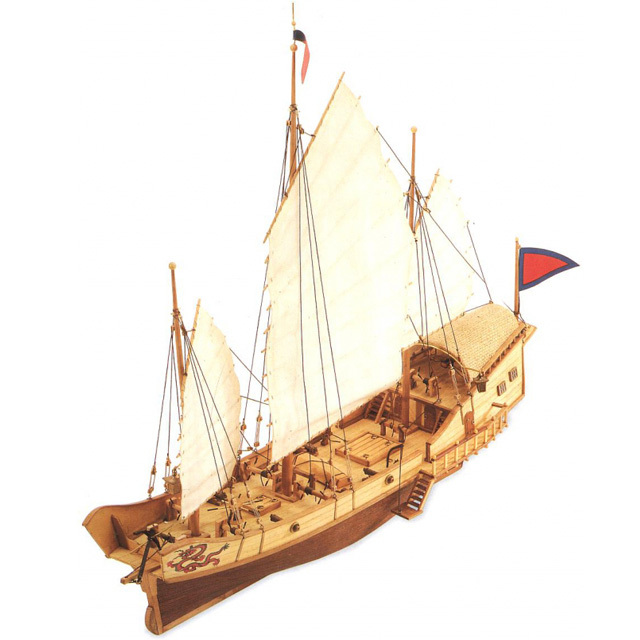 They transported supplies and timber and were often armed with cannons as a result of which they were a menace to the merchant Clippers transporting tea and spices who could never be sure until it was too late whether they were merchants or pirates. The Red Dragon was one of those famous junks with its four cannons, its canvas roof, its extra large rudder and the symbolic animals painted on the bulwarks and the transom. Artesania Latina invites you to reproduce in miniature, the splendor of the Orient.